For travelers who will be staying for an extended time on Maui, Oahu, Kauai or any of the Hawaiian Islands, we offer our tips for saving money. Oftentimes, temporary jobs can take us to the islands. There are those of us who wish to turn winter into summer. Perhaps, we are lucky enough to be able to vacation for several months at a time. While it's unrealistic to transport our own car to Hawaii for these extended stays, a rental vehicle can be very handy for getting around. We offer special rates for extended car rentals. Our simple request form asks only basic information of you. If you don't know your exact itinerary we invite you to email us with approximate dates of your stay, the island where you'll be staying, and your choice of rental car. You are under no obligation to keep the reservation you receive from our reservation specialist. No credit card information is ever requested until you pick up your long-term rental vehicle in Hawaii. We offer extremely low rates on economy-sized cars & recommend these vehicles for lengthy rentals. We have many other autos including Jeeps. This service is now available at all major locations and airports in the following places: Honolulu, Waikiki, Oahu, Kahului, Kihei, Lahaina, Maui, Kona, Hilo, Big Island, Lihue, Kauai and Molokai. We are associated with only major car rental companies. The vehicles we reserve are always newer models and come with automatic transmission and A/C. Return your vehicle as close to, or a little before, your original pick-up time. Example: If you pick-up your vehicle at 2PM, make sure to drop it off when you are finished with your auto at 2PM or a little earlier. Mileage is always unlimited. Make sure you take advantage of this one. All our rental vehicles include roadside assistance. Check current long-term car rental rates. 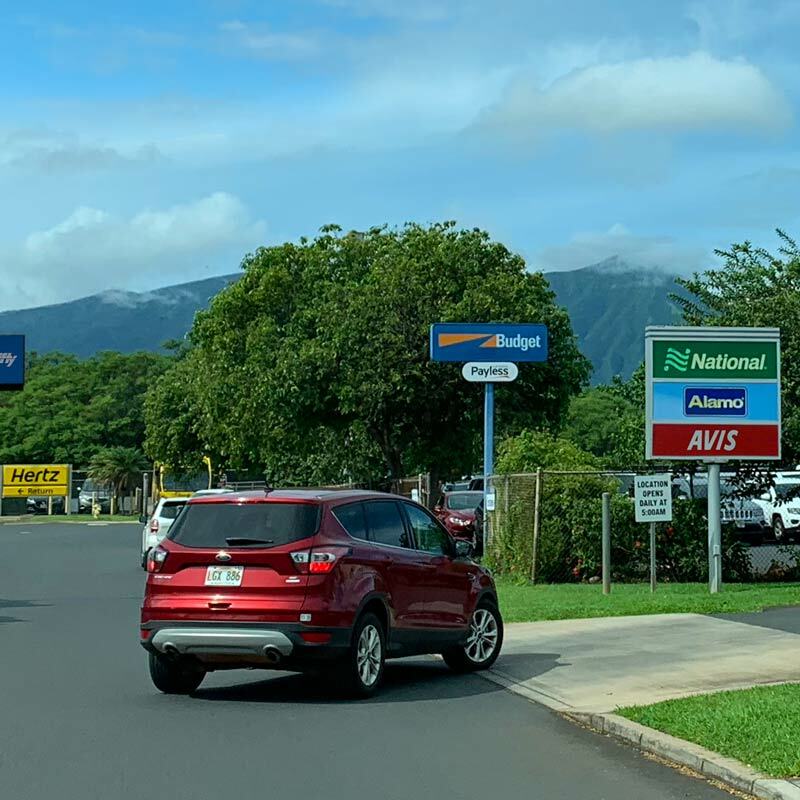 If you plan to make your stay in the Hawaiian Islands a lengthy stay, we hope you'll look into renting a vehicle from us. We think we can save you money!